The Empire and the country of Machania have been at war for many years. Randy and his friend, a fire-breathing dragon, want to tip the scales in Machania’s favor. 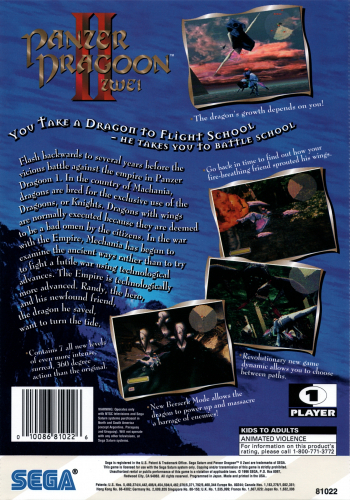 Pilot the dragon through seven levels and blast enemies from every direction. A new Berserk mode allows the dragon to power-up and destroy a barrage of enemies. As you progress through the game, multiple paths through each level become available, and the dragon will grow based on your performance. 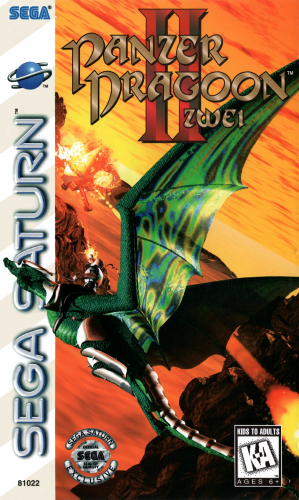 Go back in time and see how the story began in PANZER DRAGOON II.